Here's a new video. It's a little early, but I figured I have time off, so I might as well do two this week. This is a rant that I've had for a while now, but the wideo was inspired by a video of YouTube's Boh3m3, called [VLG? ]Consoles and The Website. The Latest Rage is a sketch about the latest trends in gaming consoles. System of a Down: A.D.D. Here's my latest vid. This is my first serious video. It's a music video to System of a Down's song, A.D.D. I posted video #4 yesterday. 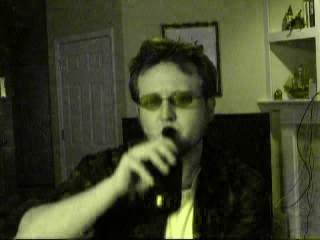 This is a video response to one of the Winekone's videos where he rants about lipsinking. Check out that video first. You'll need to watch it in order to get parts of my video. Well, I thought it was about time for another full blog post, but I couldn't decide what to write about. 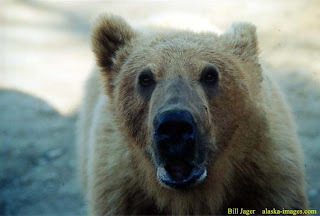 So, off the top of my head, I decided to write about bears. Bears, or, Ursidae Carnivora, have been a part of our history for the last 5 million years. During that time, they have done wondrous things for our society, such as: building dams, taking care of Salmon infestations, and helping old ladies cross the street. Of course, they have also played the villain many times, doing things like eating us and stealing our picinic baskets. Bears have played an important part in Native American mythology and in modern pop culture. The Chicago Bears did a great job this year, during the season and the playoffs. Of course, J-Dubb's Theatre endorses Indianapolis and was satisfied with this years Superbowl results, we still think the Bears did good. Bears have made their way into American expressions: "That's a bear of a course," "Don't take it to bear," and of course, "Bear, uh, love is like a bear, and uh, is grizzly-like," um, okay, I've got nothing. The word "bear itself can even have alternate meanings like, "Don't take it to bear," and "Bear in mind...". Bears also... well, I guess that's about all I have to say about bears. 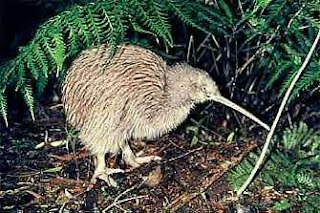 Now I'll talk about kiwi birds. Actually, I don't really have anything to say about kiwis either, so, see ya next time.